Being the intrepid Spa Spies at The Good Spa Guide, we travel the length and breadth of the UK, reviewing the best, and sometimes the worst, the spa world has to offer. We might be British beauty and wellness experts, but don't think we can't spot a knock-your-socks-off international spa, too! We've often chatted about our dream destinations abroad (that's usually when our British Summertime appears to be non-existent) and planned our ideal spa tour itinerary: an authentic Thai massage in exotic Asia, tropical fruit wraps in the colourful Caribbean, a hot tub at the bottom of a snowy mountain in Switzerland ... the list goes on! 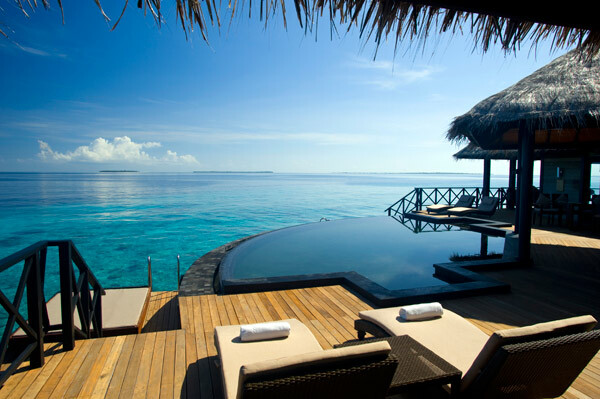 One location that we certainly wouldn't turn our noses up at is the stunning Maldives. This island nation in the Indian Ocean is home to endless white, powdery beaches, lush vegetation and turquoise waters. The Beach House at Iruveli Maldives is a secluded and exclusive resort in the northernmost atoll, and a spa break here is high on our wish list. 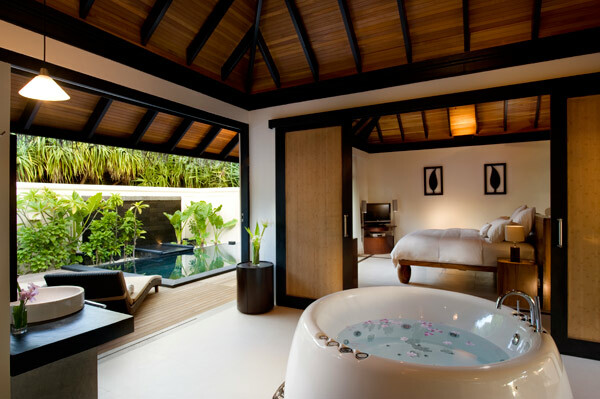 The resort has six different types of private villa to choose from, with villas dotted on the beach and over the water. Designed to be breezy open spaces, each has its own plunge pool and spectacular views. The two-bedroom Grand Beach Pavilion comes complete with its own sauna, steam room and treatment room, so you don't even have to venture from your own villa to enjoy some spa time! 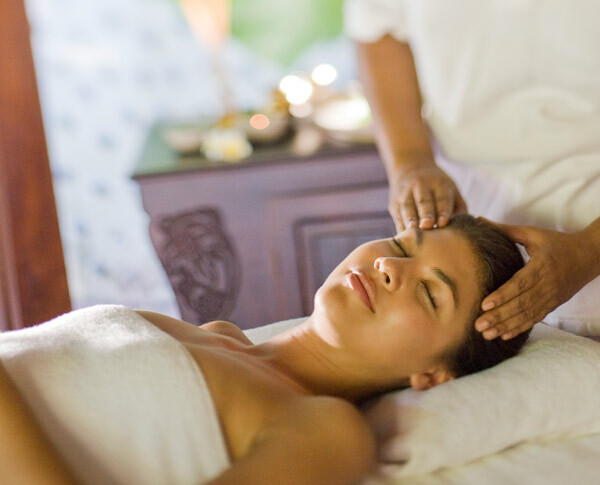 The spa at The Beach House offers "self-rejuvenation programs" created from a selection of the therapies on offer, including aromatherapy, yoga, meditation, traditional herbal healing and Ayurvedic treatments. Partnering with renowned spa brand Aromatherapy Associates, the spa has 10 treatment rooms and provides a sophisticated collection of treatments for anti-ageing, hydration, mental clarity and relaxation. Every treatment stays true to traditional aromatherapy principles, using the powerful effects of massage to enhance the invigorating properties of essential oils. 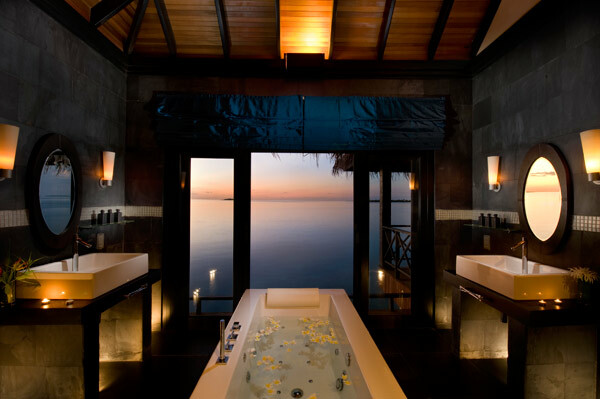 Unfortunately, we haven't visited the spa at The Beach House (but we'll be dropping many a hint to our nearest and dearest that this is EXACTLY where we'd like to spend our birthdays - or any other special occasion for that matter) so we'll let the photos do the talking! We've ooh'd and ahhh'd over the stunning views - how nice would it be to have a bath tub with an outlook like these beach villas? 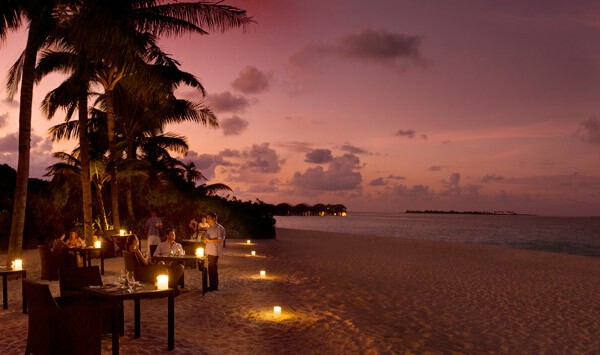 - The restaurant Medium Rare is a perfect spot for a romantic meal as the sun sets over the island. For full details, visit www.beachhousecollection.com. There are some amazing deals on offer at this five-star resort, too. Bailey Robinson is offering seven nights at The Beach House, on a bed and breakfast basis, from £2,395 per person (saving £1,565 per person). Valid for selected departures until 25 December 2012, the price includes accommodation in a luxury water villa with a private pool, a 45-minute jetlag massage, complimentary watersports, an introductory dive per stay, complimentary non-alcoholic mini-bar beverages, flights from London with BA and VIP seaplane transfers from Malé with use of a dedicated airport lounge. 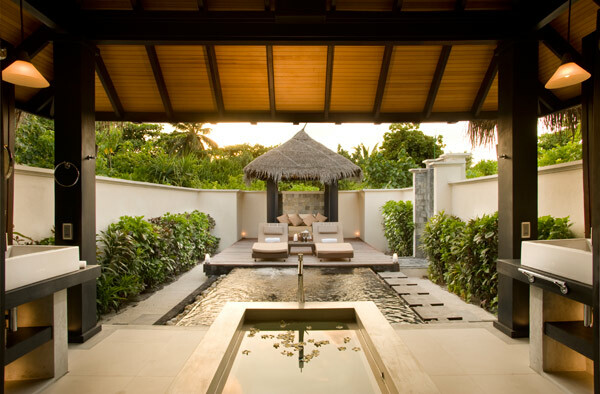 If you can't make it to the Maldives, you can enjoy some me-time at a spa closer to home in the UK. 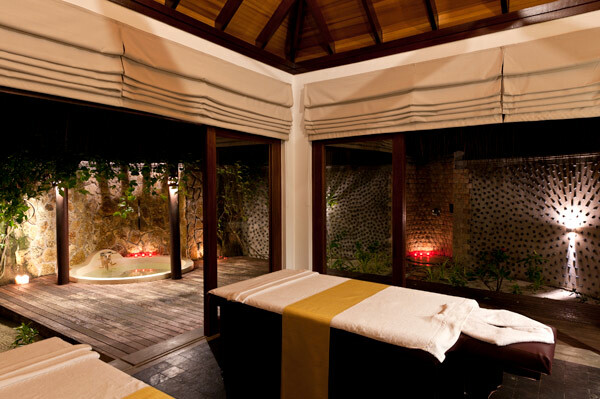 Browse our spa reviews to find out where to go!